Professional Teeth Whitening in Whittier – Is It For You? Teeth whitening cost has become so affordable that it’s almost a no-brainer for an elective procedure. Wrong! This is not the case. Just because tooth whitening is cheap and more accessible than ever, does not mean that everyone should run out the door and get their teeth bleached to look like their favorite celebrity. First of all, teeth bleaching is dangerous, and should be performed by a professional, in a dentist’s office. Just because there are dozens of over-the-counter products, does not mean that they are safe, of even effective. All types of teeth whitening agents are harsh and abrasive, and using them in your own home can result in harmful effects. Often you will not be able to administer the treatment equally and evenly, resulting in uneven or undesirable whitening. In the case of adhesive strips, sometimes only half of the tooth will achieve the desired result, leaving the other half still yellow. Or in the case of bleaching pens, the strong chemicals may come in contact with the gums, which will damage them. Even by whitening teeth in a dentist office, the procedure does not last forever. Our teeth are not naturally supposed to be a bright shade of white, and will eventually return to their natural shade. Also your habits may be the cause of your unwanted shade of white. Not adopting new habits will lead to a rapid return to the way your teeth once were, essentially wasting the expense of the cosmetic dental procedure. Teeth whitening cost around $500. Of course this price may vary and it is best to seek out your cosmetic dentist to discuss your options with them. At a one-on-one consultation, the cosmetic dentistry specialist will be able to give you a more appropriate price and timeline for the treatment. Veneers are also one of the newer and cheaper, more accessible cosmetic dentistry options. It was once reserved for the elderly who were looking to replace heavily decayed and stained teeth. But nowadays with the mass implementation of technological advances, veneers are more affordable than they were a few decades ago. 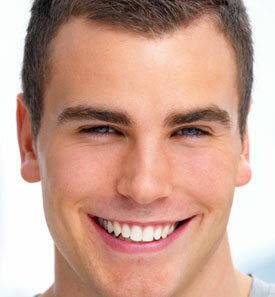 The cost of veneers is reasonable if you have undesirable stains or overall unattractive teeth. Fitting and planning. After deciding on veneers, the dentist will remove about 1/3 to 1/5 of a millimeter from the tooth’s surface. Removing this enamel is the basis for replacing the look and feel of your teeth. Impressions. At this point we will make I’m mold of your teeth and send the results off to the lab in order to create the veneers. Installation. Once the veneers return from the laboratory, you will come to the office and we will bond the thin sheet of porcelain onto the front of the teeth. Follow up. This process is very mainstream nowadays which results in almost no complications. However it is important for you to return to the dentist in order to evaluate the look and feel of the installation a few weeks after the initial application. We normally deal with porcelain and resin composite replacements, however if you prefer gold teeth or other types of jewelry applications, we have created more than a few solutions for star-studded teeth. Veneers are a good solution because gum tissue excepts the porcelain with ease. However we suggest patients who have veneers installed take excellent care of the gums and be sure to never reach the level where gingivitis is an issue. Use our appointment request form to set a time to come meet with us to discuss the many options potentially available to you. We look forward to talking with you!